WHAT YOUR VISIT WILL INCLUDE! 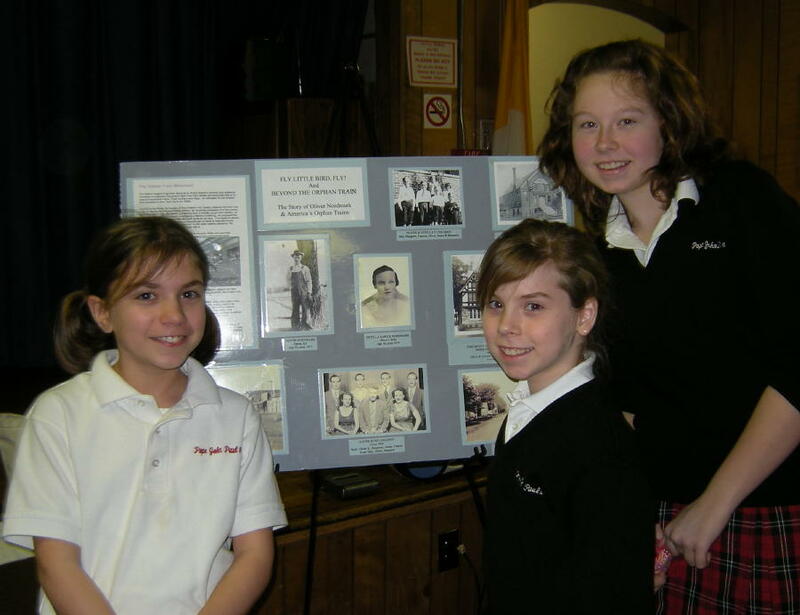 Ms. Aviles' school presentation on the Orphan Train Movement of 1854-1929 is best suited for 4th through 12th graders. Each presentation takes approximately one hour with time given for Q&A from students and teachers. The presentation begins with an age appropriate, interactive discussion of the history of immigration to America from European countries, along with the history and reasons for the Orphan Train Movement. Students will experience what it was like to be placed on an orphan train and sent west to find a home. Excerpts of Oliver's oral history, telling of his ride on the train, will be shared, along with an excerpt of what it was like to live in a sod house on the Kansas prairie - complete with rats nibbling on his toes at night! Students will have the opportunity to view lots of photographs of Oliver and his family, as well as places and people from the book. The presentation concludes with a discussion of the importance of journaling one's own story, and the story of family members as a way of preserving social history. Q&A is encouraged throughout the presentation as well as at the end. Older students will also enjoy hearing about the process of writing and publishing the books, along with how to take a personal narrative or oral history. To read what TEACHERS, LIBRARIANS & STUDENTS are saying about Mrs. Aviles' presentation, visit the REVIEWS page of this website! Ms. Aviles' presentation of THE GREAT DEPRESSION of 1929-1940 is best suited for students in grades 4th through 8th. Each presentation is approximately 50 minutes with time given for Q&A from students. The presentation begins with an age appropriate discussion of the causes for the Great Depression and the subsequent consequences on American society. Students will have the opportunity to view many photographs, and hear tape recordings of Benny Nordmark, the yougest child in the story of PEANUT BUTTER FOR CUPCAKES as he tells what it was like to live, from a child's perspective, through some of the toughest times in American history. From strapping on their father's rubbers with canning jar rings to serve as shoes, to eating nothing but garden grown tomato sandwiches all summer long, your students will learn how the children of the Great Depression not only got by on little or no money, but also found ways to have fun and adventures, creating memories that lasted a lifetime! The presentation concludes with the importance of journaling one's own story, and the story of family members as a way of preserving social history. Questions are encouraged throughout the presentation, as well as at the end. Older students will also enjoy hearing about the process of writing and publishing the books as well as how to take a personal narrative or oral history. Click on the REVIEWS page to see what Teachers, Librarians and students are saying about the presentations! Thank you for your interest in a school presentation! I am currently scheduling visits for the 2018-19 school year. I am happy to travel anywhere in the United States. For Delaware and Southern Chester County PA schools, the fee for the first presentation is $250.00 and $50.00 for subsequent presentations on the same day, with a maximum of three presentations on one day. Outside of DE and Southern Chester Co., the speaking fee is the same however travel expenses will be added. Please contact me at daviles@comcast.net for a quote. Included in the speaking fee is a complementary copy of Orphan Train To Kansas (for a presentation on the Orphan Trains) or a complementary copy of Peanut Butter For Cupcakes (for a presentation on The Great Depression) to be used as a READ ALOUD to students prior to my visit. With every 50 books pre-ordered, I will donate one copy of both books to the school library. Below are some guidelines to help make the visit a fun and educational experience for your students and staff alike. 1) Send an email to daviles@comcast.net to check on the availability of the day you have in mind for your visit. 2) Select the presentation that is best suited for your students. For a presentation on The Orphan Train Movement, students should read at least a portion of Orphan Train To Kansas. 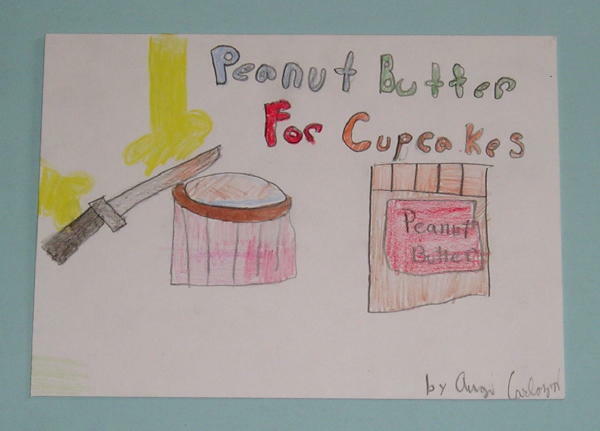 For a presentation on The Great Depression, students should read at least a portion of Peanut Butter For Cupcakes. Since students will have the opportunity to hear actual recordings of the books' characters telling about their adventures, being familiar with the story will help them get the most from the presentation. Using one of the books as a "Read Aloud" to the class is a good way to introduce students to the subject matter and real life characters. I am pleased to inform you that author, Donna Nordmark Aviles, will be visiting our school on ______. Ms. Aviles has written two books based upon her grandfather's experience as an Orphan Train Rider. Between 1854 and 1929, over 250,000 children were sent by train from East coast cities to farming communities in the Midwest. 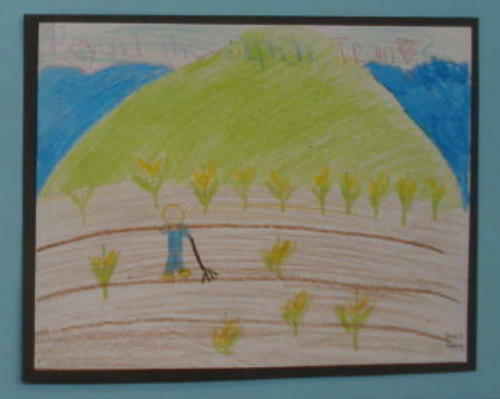 The children were then chosen to live with local families, and in return would supply labor on their farms. You may learn more about the Orphan Train Movement and Donna's books, Orphan Train To Kansas and Peanut Butter For Cupcakes - A True Story From The Great Depression, by visiting her website at www.orphantrainbook.com. To provide your child with some background knowledge, we have been reading Orphan Train To Kansas in class. The students are surprised to hear of the challenges and uncertainties created by the Orphan Trains. If your child is interested in purchasing books from the author, we are pre-selling them to be delivered on the day of the visit. Ms. Aviles will sign each book for your child. Please fill out the bottom of this letter, and return it with your payment by_____. Mark the books you desire and the number of copies you'd like. Cash and checks made payable to: Donna Aviles will be accepted. Thank you for supporting our reading enrichment programs here at _________school. 4) When forms are collected, please contact Mrs. Aviles at daviles@comcast.net with a list of student names and she will have the books signed and ready for delivery on the day of the presentation. 5) Please allow 50 minutes to an hour for each presentation with as many as three presentations on any one day. It is recommended that group size stay under 50 students. Thank You For Your Interest In A Presentation!